Forth Valley residents are being urged to be on their guard against telephone scammers after the Stirlingshire area has been targeted by the fraudsters. Hoax callers have been phoning claiming to be detective sergeants at the Metropolitan Police in London. Three cases have been reported to local officers this week. On Monday, October 12, a woman in her 80’s fell victim to this scam losing a five-figure sum of money after she was conned into attending her bank and transferring her savings into an account used by the fraudsters. Today (Wednesday), two elderly persons within the Stirlingshire area contacted police after receiving similar calls. Divisional officers are currently carrying out inquiries in an effort to determine whether or not they too have lost money. Police Scotland is now warning people not to fall foul of this scam and if there is any doubts whatsoever then hang up the phone. 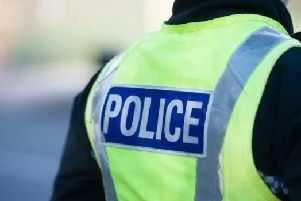 Inspector Jim Young of Police Scotland said: “These sorts of offences can only be described as organised fraud and are carried out in a very brazen way. “Today, I am urging everyone in Forth Valley and specifically in Stirling to be aware of this danger. “Those who carry out fraudulent cold calls are often experienced and can appear very convincing but please don’t be fooled. “They are skilled criminals who often target the elderly and use scare tactics in order to glean confidential information. “Unfortunately, a local woman has already lost a considerable amount of money and we are carrying out extensive inquiries in relation to that incident. “However, in the meantime, I ask the public to please share our warning message with family members, especially the elderly. “I can offer reassurances that a genuine police officer would not phone someone unannounced to say that their bank account has been hacked and similarly a bank will never ask someone to transfer funds into the account of another person. “Don’t ever provide details over the phone or by email. If you have any concerns about your bank accounts or if you receive any such phone calls then please go to your local branch and ask to speak to a staff member in person to raise your concerns.